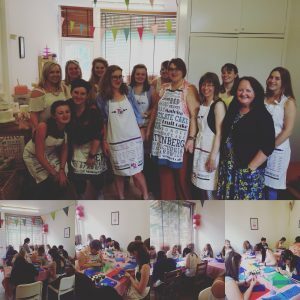 Are you looking for something fun and creative to do on your hen do? 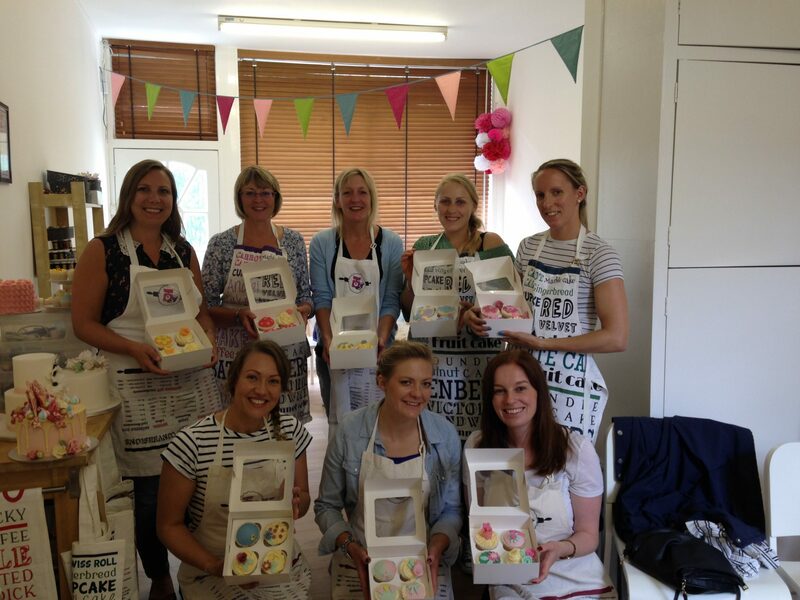 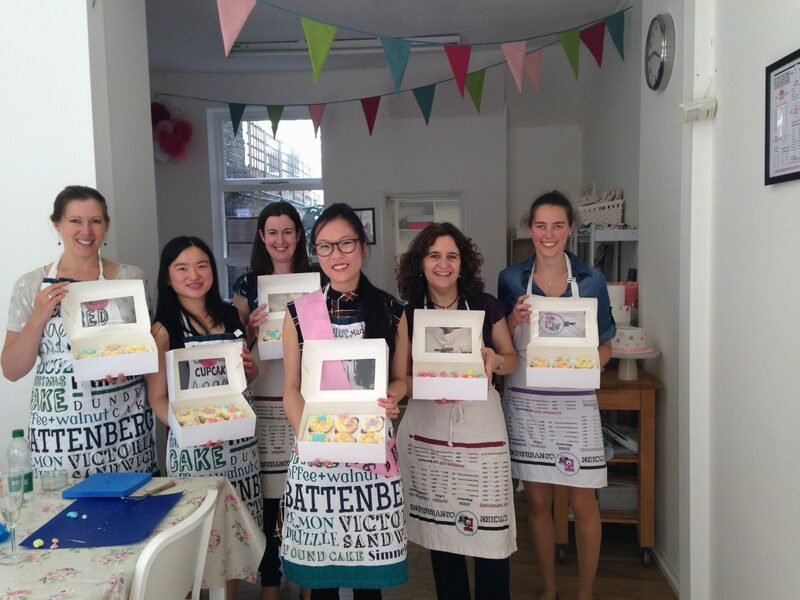 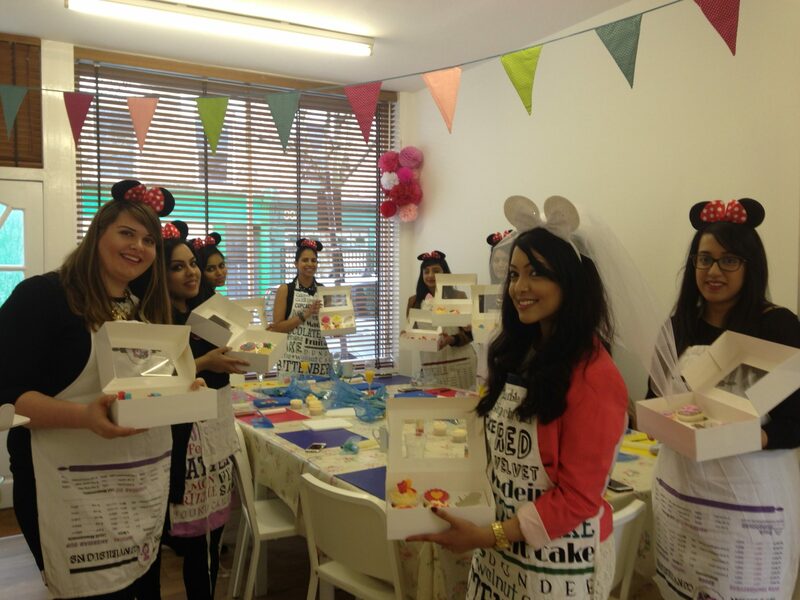 Hen cupcake decorating parties are a perfect activity for any hen party. We provide all the equipment, cakes, oodles of buttercream and decorations and you get to enjoy a glass of bubbly whilst you decorate a set of cupcakes. Our most popular session is our cupcakes & buttercream and swirls two hour session where you’ll learn how to colour sugarpaste fondant, how to make a rose and work with cutters and equipment to make a selection of decorations before piping buttercream swirls and decorating your cupcakes. 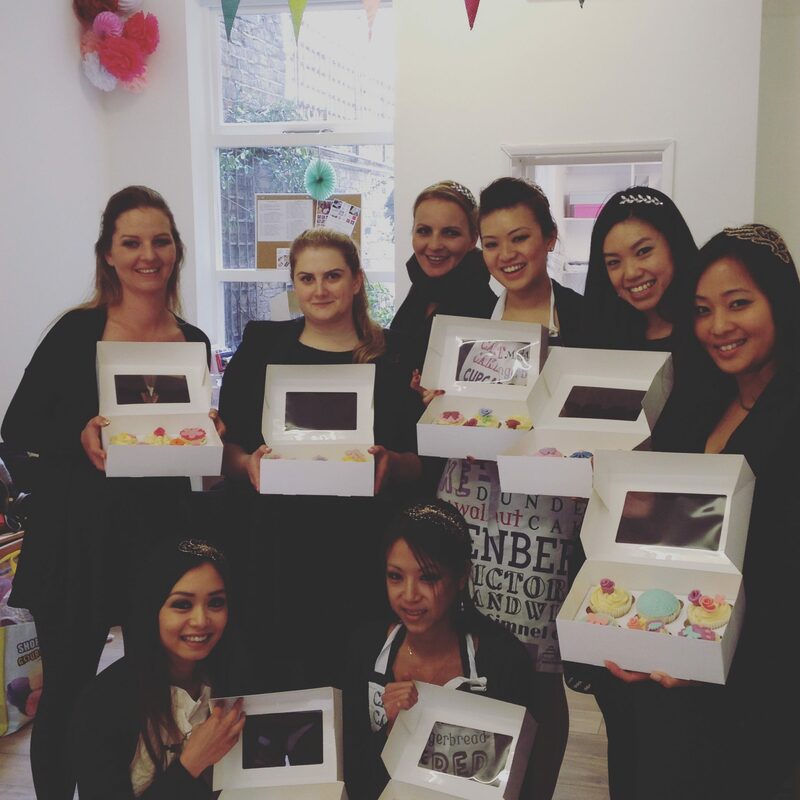 Best of all you get to take home your cupcakes to enjoy. Take a look at some of our past parties in our gallery. 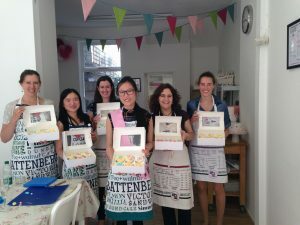 Our sessions are held from our beautiful workshop space in West Hampstead (91 Kingsgate Road, NW6 4JY) or we can travel to a location of your choice. Afternoon tea – if you’d like to add an afternoon tea to your party we can provide a selection of sandwiches, cakes and tea.